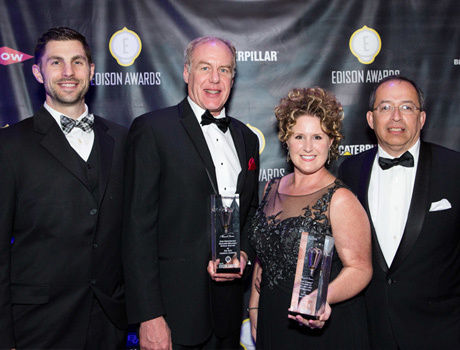 Senior executives with diverse marketing, scientific, and business backgrounds serve on the Edison Awards Steering Committee to monitor the development and successful launch of innovative products each year. Sandra Bates, CEO and Founder of The Innovation Partners, is a dynamic innovation entrepreneur, marketing strategist, speaker and author. She has mentored, coached and led more than 100 innovation initiatives, helping her executive teams launch award winning products, services and programs. 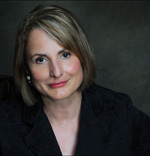 Her clients include Fortune 100 companies and mid sized organizations in dozens of industries, non-profits, and government agencies. She is the former director and co-founder of the Strategyn Institute, where she established a comprehensive institute for teaching the Outcome-Driven Innovation methodology to executives around the world. 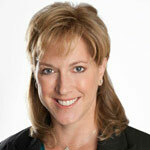 She has been a thought leader for breakthrough innovation programs for the past twenty years. Sandy has most recently turned her focus to the needs of the social sector with a goal of taking state of the art innovation practices, tools, and methodologies to address the most critical issues facing our world such as health care for the uninsured, natural resource conservation, education, and innovation in the government and overall non-profit sector. Her book, The Social Innovation Imperative (McGraw-Hill) was released in January 2012. A great grandniece of Thomas Edison, Sarah Miller Caldicott was engaged in creativity and innovation throughout her life. Sarah began her 25-year career as a Marketing executive with Quaker Oats and the Helene Curtis subsidiary of Unilever. She co-authored the first book ever written on the subject of Edison’s world-changing innovation methods, entitled Innovate Like Edison. A featured speaker for the popular TEDx series, themes from Sarah’s speech were captured in her ebook, Inventing the Future: What Would Thomas Edison Be Doing Today? She was a past Chairperson of the Edison Awards and served on the Edison Awards Steering Committee. She was President of the Chicago-based consultancy, The Power Patterns of Innovation, offering organizations of all sizes expert training and guidance on how to achieve innovation success in the global economy. Sarah held a BA from Wellesley College, and an MBA from the Amos Tuck School of Business at Dartmouth’s Amos Tuck School of Business. Tim Fiala is a currently a senior vice president with global communications consultancy TEXT100 where he advises technology clients on developing differentiated messaging platforms that translate business strategy and vision into market leadership. He has developed award-winning integrated communications campaigns that work across paid, earned, social and owned media channels. 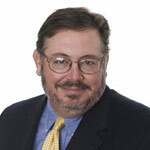 Over several dozen years, his experience includes leading communications assignments for such industry bellwethers as Accenture, Alcatel-Lucent, HP, IBM, Intel, Lenovo, SAP, and Verizon as well as dozens of small to midsize technology firms and startups. His career has tracked with many of the seminal firsts shaping technology innovation, including the launch of PC's from three different manufacturers, the first consumer online service, the first online brokerage, the first wireless local area network, the first commercial e-mail service, and the launch of the "information super highway." Mr. Fiala is a graduate of Northwestern University's Medill School of Journalism and is the recipient of two New York Press Association awards for reporting and photography. 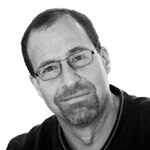 Dr. Gary Fischman is a materials scientist whose career has been on the nexus of academia, government and industry. He is the owner and principal of Future Strategy Solutions, and an active part-owner of Covalent Coating Technologies. Prior to his current activities, Gary spent five years at the National Research Council, where he was the Director of three boards: The National Materials Advisory Board, the Board on Manufacturing and Engineering Design, and the Board on Infrastructure and the Constructed Environment. Earlier, Gary was the Director of Biomaterials and Technology at the University of Illinois at Chicago, holding three joint academic appointments (Restorative Dentistry, Orthopaedic Survey and Bioengineering). Previous to his activities at UIC, Gary was at the US Food and Drug Administration. 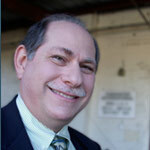 Gary was also a tenured faculty member at the New York State College of Ceramics at Alfred University, has served as President of the National Institute of Ceramic Engineers, as a Director for the American Ceramic Society, and as a Governor for the American Association of Engineering Societies. He has a B.S., M.S. and PhD. in Ceramic Engineering from the University of Illinois at Urbana-Champaign. Dr. Simon Fung is a new product developer at 3M Company where he is constantly seeking to discover unarticulated customer needs for the development of innovative 3M products. Simon himself is the lead product developer for the 3M Kind Removal Silicone Tape which is an Edison Award winner and he has commercialized a number of other new 3M products as well. He had served as the chair of 3M Tech Forum, an organization that works with the R&D top management to promote collaborations within the 3M technical community. Simon also participates in the 3M Visiting Wizards, a program that allows 3M scientists to go into local schools to share science by hands-on experiments and 3M’s STEP (Science Training Encouragement Program) where local high school students come to 3M for training in science and engineering. Prior to joining 3M, he was a research scientist at Eastman Kodak Company where he also served as an Industrial Fellow at National Science Foundation's Center for Interfacial Engineering at the University of Minnesota. Simon has a B.S., M.S. & Ph.D. from Rensselaer Polytechnic Institute in Electrical and Mechanical Engineering. Simon is also a co-founder of Nova Classical Academy, a K-12 charter school based in Minnesota which has one of the highest test scores in the state and is recognized as one of "America's Most Challenging Schools" by the Washington Post in 2014. 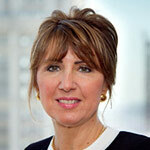 Joyce Gioia is a Strategic Business Futurist concentrating on workforce and workplace trends. 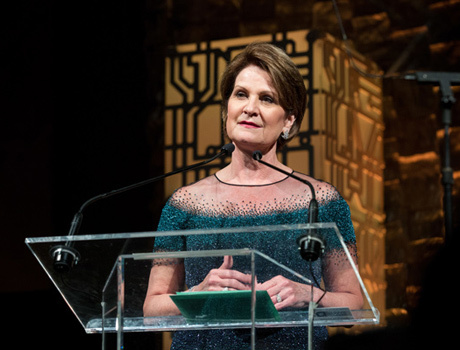 She is President and CEO of The Herman Group, a firm serving a wide range of corporate, trade association and governmental clients on an international basis. Through consulting, speaking and training, Joyce helps clients position themselves for future success. Joyce is also CEO of Employer of Choice International, Inc., the organization that certifies employers as Employers of Choice®. An early entrepreneur, she founded her first company at the age of 14. Later at the age of 28, she was the youngest magazine publisher in the country, publishing a successful buyers' guide for audiophiles. 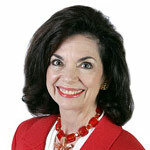 A respected professional speaker and management consultant, Joyce has earned the designation of Certified Management Consultant, as well as the coveted Certified Speaking Professional designation from the National Speakers Association; she is one of only a handful of people in the world to hold both designations. Joyce earned an MBA from Fordham University and pioneered strategic syndications between magazines and catalogs. Joyce distributes the weekly Herman Trend Alert to 29,000 people in 87 countries in four languages. She also has authored five books, including three business bestsellers. Her book, How to Become an Employer of Choice was runner-up for the prestigious Benjamin Franklin Award for the Best Business Book of the Year. She is often quoted in media, including Industry Week, Entrepreneur magazine, The Economist, and others. 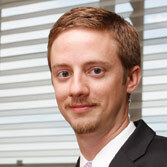 Dr. Matthew Heim previously served as President of NineSigma - the world's premier open innovation service provider. He has more than 25 years of global executive management experience in the areas of strategic planning, innovation, corporate turnarounds and large-scale systems change. Matthew served on the faculty of the University of Maryland and Dominican University of California. He is a prolific author of journal articles and white papers; his publications include the book, Breaking the Musashi Code: Transcending Competition Through Visionary Strategy, as well as his contribution to the bestselling book, A Guide to Open Innovation and Crowdsourcing. 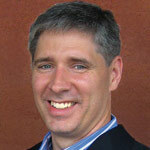 Prior to his work at NineSigma, Matthew was Managing Partner at Clarkston Consulting, responsible for Strategic Services. He has also served as Managing Director at PriceWaterhouseCoopers, with global practice leadership. Additionally, he spent several years as a Principal with KPMG in Germany, where he served the banking, telecommunications, government and aerospace industries. Matthew holds a Ph.D. in Human and Organizational Systems, an M.A. in Developmental Psychology, an M.S. in Systems Management and a B.S. in Computer Science. Walter Herbst, in 1962, founded what became Herbst LaZar Bell Inc. The firm grew under his leadership to be one of the three largest independently owned product design and development firms in the country. He left that firm after transferring it into an employee owned firm (ESOP) and is a partner in Herbst Produkt, headquartered in Silicon Valley. Professor Herbst holds a courtesy appointment in the Kellogg School of Management where he brings his expertise for product development into the classroom with a course he designed dealing with the Management of Product Development. For the McCormick School of Engineering and Applied Science, he created the Master of Product Design and Development Program. The program is the only program in the country that deals with the totality of issues related to product development and includes all the standard MBA courses as well as advanced concepts in PD&D. Professor Herbst is a Fellow in Industrial Design; IDEA, the Institute of Design Engineering and Applications program; as well as the Segal Design Institute and is a NCEER Scholar (Northwestern Center for Education Research) for Northwestern University. 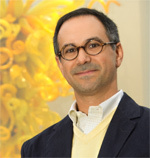 Professor Herbst also serves on the Advisory Board for the Department of Material Sciences at Arizona State University and on the Advisory Board for Art and Design at the University of Illinois, Champaign/Urbana. Walter holds over 80 patents in hardware, houseware and medical products. He is listed in "Who's Who of American Inventors", as well as other "Who's Who" publications, and is a frequent contributor of articles in various trade journals. An expert in his field, he is frequently invited to speak at national and international industry trade shows and events. In addition, he was a recipient of the "Design of the Decade" award from the Industrial Design Society of America for his work with Gillette in the spring of 2001. Dirk Hondmann, Ph.D., is senior vice president Research & Development for Mead Johnson Nutrition, with responsibility for Discovery, Technology Development, Clinical Research and Medical Affairs, Regulatory and Nutrition Science, Quality Compliance and Product & Process Development. 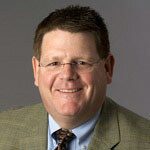 Dr. Hondmann is a member of the Executive Committee of Mead Johnson Nutrition. Before joining Mead Johnson Nutrition in 2005, Dr. Hondmann worked for Unilever, an international manufacturer of food, home-care and personal-care products. His last position at Unilever was vice president of International Development for Slim-Fast. Prior to that, Dr. Hondmann served in a variety of roles, including head of Development for Unilever Foods in South Africa and head of the Lipton Innovation & Technology Center in California, USA. Dr. Hondmann is an adjunct associate professor at Indiana University School of Medicine and gives guest lectures on business and innovation at various business schools. Born and raised in Maastricht, the Netherlands, Dr. Hondmann earned a Ph.D. in biochemistry/molecular biology from Groningen University, Netherlands, an M.S. in molecular science from Agricultural University, Wageningen, Netherlands; and an MBA from Heerlen University, Netherlands. Gail is a proven business builder who brings to clients a 30-year track record of creating new business and profitable growth for companies like Citibank, IBM, and Dun and Bradstreet as well as early-stage technology companies. She is a rare professional who is comfortable talking business with CEOs and technology with CIOs and engineers. 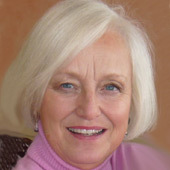 Gail works closely with CEOs and other executives to drive new business development. She engages potential customers in new markets, develops customer intelligence for marketing organizations especially in complicated markets like healthcare, financial services, business intelligence and data/content and technology services. For the last couple of years Gail has focused her efforts around her very effective sales and consulting skills, helping clients grow revenues. That is a critical challenge and most firms struggle with it. As an executive with Citibank and Dun and Bradstreet, Gail built sales organizations and delivered programs that generated over $400 million in new business. As a consultant to technology companies, she has successfully launched products into new markets, constructed alliances, captured marquee customers, and facilitated investments from investors. Gail is a Fulbright Scholar, appointed in 2011 to the roster of Fulbright Specialists, a program of the US State Department. Designed for senior professors and professionals who are recognized for excellence in their fields, Gail has collaborated with universities in Southeast Asia to build programs for improving leadership and innovation in companies, supporting governmental goals for transforming their economies. In the process, Gail has become a big supporter of the "education to employment" movement. Gail developed and taught a course at Vietnam National University - International School in Hanoi in the fall of 2014 and she has been invited to South Africa in 2016. Gail is a graduate of Mount Holyoke College. Jason Kovac, Ph.D., has over 16 years of public sector experience, including leadership roles in public libraries, academic libraries, and community colleges. Jason currently services as Dean of Academic Foundations at Linn-Benton Community College (OR), where he builds programs that engage at-risk populations for training in high-growth, high-wage career fields. As an invited speaker and author, Jason has contributed scholarship on topics including innovation, grant writing and fund raising, globalization and contemporary pedagogy, and green building. Jason's academic credentials include degrees in English literature, photography, library science, and a doctorate in educational administration from The University of Texas. He and his wife enjoy camping and hiking, traveling, and spending time with family and friends. Philip T. Krein received the B.S. degree in electrical engineering and the A.B. degree in economics and business from Lafayette College, Easton, Pennsylvania, and the M.S. and Ph.D. degrees in electrical engineering from the University of Illinois, Urbana. He was an engineer with Tektronix in Beaverton, Oregon, then returned to the University of Illinois at Urbana-Champaign. At present, he holds the Grainger Endowed Directors Chair in Electric Machinery and Electromechanics as Professor and Director of the Grainger Center for Electric Machinery and Electromechanics. His research interests address all aspects of power electronics, machines, drives, and electrical energy, with emphasis on nonlinear control and distributed systems. He published an undergraduate textbook, Elements of Power Electronics (Oxford University Press, 1998). In 2001, he helped initiate the International Future Energy Challenge, a major student competition involving fuel cell power conversion and energy efficiency. He holds fifteen U.S. patents with additional patents pending. 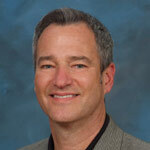 Dr. Krein is a registered professional engineer in Illinois and in Oregon. He was a senior Fulbright Scholar at the University of Surrey in the United Kingdom in 1997-98, and was recognized as a University Scholar in 1999, the highest research award at the University of Illinois. He serves as Academic Advisor for the Department of Electronic and Information Engineering at Hong Kong Polytechnic University. In 2003, he received the IEEE William E. Newell Award in Power Electronics. 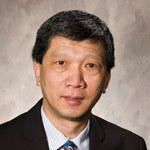 He is a past President of the IEEE Power Electronics Society, and served as a member of the IEEE Board of Directors. In 2005-2007, he was a Distinguished Lecturer for the IEEE Power Electronics Society. In 2008, he received the Distinguished Service Award from the IEEE Power Electronics Society. He is Chairman of the Board of SolarBridge Technologies, a developer of long-life integrated solar energy systems. 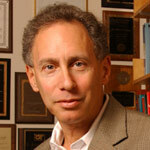 Robert S. Langer is one of 13 Institute Professors (the highest honor awarded to a faculty member) at the Massachusetts Institute of Technology (MIT). 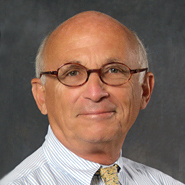 Dr. Langer has written approximately 1,000 articles. He also has more than 600 issued or pending patents worldwide. Dr. Langer’s patents have been licensed or sublicensed to over 200 pharmaceutical, chemical, biotechnology and medical device companies. He served as a member of the United States Food and Drug Admini- stration’s SCIENCE Board, the FDA’s highest advisory board, from 1995 - 2002 and as its Chair- man from 1999-2002. Dr. Langer has received over 160 major awards including the 2006 United States National Medal of Science; the Charles Stark Draper Prize, considered the equivalent of the Nobel Prize for engineers and the 2008 Millennium Prize, the world’s largest technology prize. He is the also the only engineer to receive the Gairdner Foundation International Award; 70 recipients of this award have subsequently received a Nobel Prize. Among numerous other awards Langer has received are the Dickson Prize for Science (2002), Heinz Award for Technology, Economy and Employment (2003), the Harvey Prize (2003), the John Fritz Award (2003) (given previously to inventors such as Thomas Edison and Orville Wright), the General Motors Kettering Prize for Cancer Research (2004), the Dan David Prize in Materials Science (2005), the Albany Medical Center Prize in Medicine and Biomedical Research (2005), the largest prize in the U.S. for medical research, induction into the National Inventors Hall of Fame (2006), the Max Planck Research Award (2008) and the Prince of Asturias Award for Technical and Scientific Research (2008). In 1998, he re- ceived the Lemelson-MIT prize, the world’s largest prize for invention for being “one of history’s most prolific inventors in medicine.” In 1989 Dr. Langer was elected to the Institute of Medicine of the National Academy of Sciences, and in 1992 he was elected to both the National Academy of Engineering and to the National Academy of Sciences. He is one of very few people ever elected to all three United States National Academies and the youngest in history (at age 43) to ever receive this distinction. Forbes Magazine (1999) and Bio World (1990) have named Dr. Langer as one of the 25 most important individuals in biotechnology in the world. Discover Magazine (2002) named him as one of the 20 most important people in this area. Forbes Magazine (2002) selected Dr. Langer as one of the 15 innovators world wide who will reinvent our future. Time Magazine and CNN (2001) named Dr. Langer as one of the 100 most important people in America and one of the 18 top people in science or medicine in America (America’s Best). Parade Magazine (2004) selected Dr. Langer as one of 6 “Heroes whose research may save your life.” Dr. Langer has received honorary doctorates from Yale University, the ETH (Switzerland), the Technion (Israel), the Hebrew University of Jerusalem (Israel), the Universite Catholique de Louvain (Belgium), the University of Liverpool (England), the University of Nottingham (England), Albany Medical College, the Pennsylvania State University, Northwestern University and Uppsala University (Sweden). He received his Bachelor’s Degree from Cornell University in 1970 and his Sc.D. from the Massachusetts Institute of Technology in 1974, both in Chemical Engineering. In early 2013 Bret became a managing director of Xenergy Holdings. Xenergy is involved in many facets of the energy industry. Projects include investments in oil & gas exploration, hydrocarbon production, and energy storage facilities. 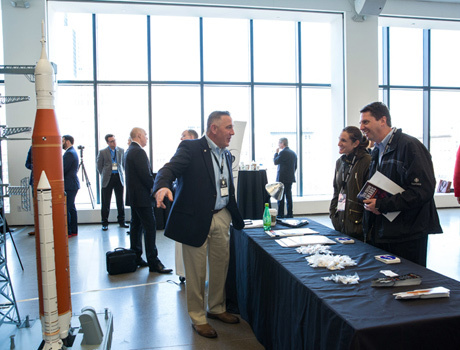 Xenergy also assists companies with emerging technologies related to energy generation and conservation. From 2007 to 2013 Bret was the Managing Director of Fulton Innovation, where he was responsible for overseeing all operational aspects of the organization and providing value-driven strategic direction for the Fulton Innovation team. Fulton focused on the eCoupled wireless power technology created by a select team of gifted engineers and was a founding member of the Wireless Power Consortium. Bret co-chaired the steering committee that helped lead the development of the Qi standard now globally recognized as the standard for wireless power interoperability. Bret has always maintained an entrepreneurial mindset. Having successfully owned and operated seven different companies (domestic & international) in diverse industries including component manufacturing, specialized technology, equipment & systems manufacturing, and real estate investments beginning in 1993. Prior to his entrepreneurial endeavors, Bret held senior executive positions in finance, sales, and marketing at a number of public and privately held companies. Bret and his wife, Rebecca, have two sons and make their home in West Michigan. 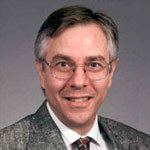 Kevin Lynch is Professor and Chair of the Mechanical Engineering Department at Northwestern University. He is a member of the Neuroscience and Robotics Lab (nxr.northwestern.edu) and the Northwestern Institute on Complex Systems (nico.northwestern.edu). His research focuses on dynamics, motion planning, and control for robot manipulation and locomotion; self-organizing multi-agent systems; and functional electrical stimulation for restoration of human function. Dr. Lynch is a Senior Editor of the IEEE Robotics and Automation Letters and incoming Editor-in-Chief of the IEEE International Conference on Robotics and Automation, co-author of The Principles of Robot Motion (MIT Press, 2005) and Embedded Computing and Mechatronics (Elsevier, 2015), an IEEE fellow, and the recipient of the IEEE Early Career Award in Robotics and Automation, Northwestern's Professorship of Teaching Excellence, and the Northwestern Teacher of the Year award in engineering. He earned a BSE in Electrical Engineering from Princeton University and a PhD in Robotics from Carnegie Mellon University. Moises Norena is a renowned innovation expert practitioner, mentor, teacher, speaker, writer, networker, and pioneer in management innovation. As a thought leader in the space, Moises' perspectives have appeared in leading publications like Businessweek, Forbes and FastCompany. 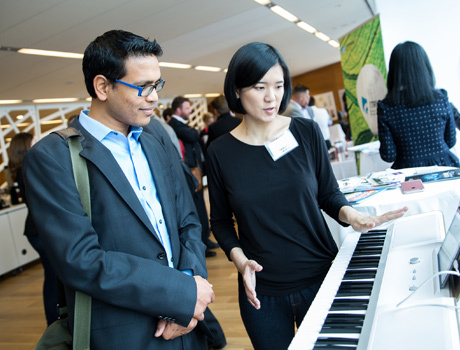 Moises was the winner of 2013's Harvard Business Review/MIX "Innovating Innovation" challenge. He currently holds the title of Director of Strategic Innovation at Allstate Insurance. Previous to this role he led the Global Innovation team at Whirlpool for several years. Moises is a multi-faceted individual; he holds a bachelor's degree in Architecture, a master's degree in Information Systems from La Salle University in Mexico City and a MBA from Purdue University. He is also an artist, a traveler, a photographer, a cook, an outdoor explorer, a music junkie, but most of all a committed family man. 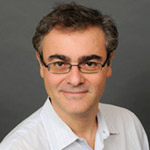 David Parma is President of Ipsos Marketing in the United States. In this role, David has operational responsibility for Ipsos Marketing's lines of business which include Ipsos InnoQuest, Ipsos MarketQuest, Ipsos Healthcare, Ipsos MMA, Ipsos UU, and Ipsos SMX, as well as implemeting Ipsos Marketing global strategy in the U.S. Most recently, David was Global President of BASES and Nielsen Consumer Research, following a career in the Nielsen Group that included various senior management positions across the globe. David has also previously held positions with Procter & Gamble and McKinsey & Company working in various European, African and Far East markets. David has a University Degree in Physical Chemistry (Bologna, Italy) and is an accomplished concert violinist. He and his wife and three children reside in New York City. Colonel John P. (Pierre) Powell (Retired) is currently serving as the President of PAMCO Investments Corp., a family investment holding company, managing assets for Oil & Gas Exploration, Private Equity, Real Estate and other business ventures. He retired from the U.S. Air Force in 2008 after 21 years of service. He retired as the Vice-Commander of Air Forces in Afghanistan, responsible for 4,500 Airmen stationed at more than 27 locations across that country. His previous assignments included 33rd Maintenance Group Commander, logistics leader for 54 F-15C aircraft, Air Combat Command Chief of Programs, with duties including management of their $180B five-year budget. Colonel Powell has also served as Aide and Executive officer to the Secretary of the Air Force and as country director for procurement support to Saudi Arabia, among others. Pierre has logged over 2,200 hours of flight time in the F-15, F-4, and AT-38 fighter aircraft, having been awarded the Legion of Merit, Distinguished Flying Cross, and Bronze Star (among others) during Operations Desert Storm, Provide Comfort, Northern Watch, Noble Eagle, Iraqi and Enduring Freedom. 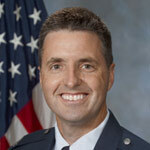 Pierre recently completed an executive MBA degree from Kellogg School of Management, Northwestern University; he has attended the John F. Kennedy School of Government, Harvard, as a National Security Fellow, and has additional Master's Degrees from Air Command and Staff College as well as Troy State University. He graduated with an Aerospace Engineering Degree from Missouri University of Science and Technology. 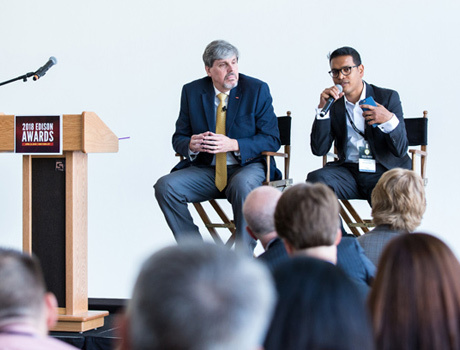 Pierre has been an active member of the Kellogg Innovation Network and Colorado Innovation Network. He also founded a 501(c)(3) supporting military transitions and has membership in other charity, community and leadership activities. Sheree Speakman works on public and private education projects that support the common goals of social justice and deeper learning. From 2007 to 2011, she was Evaluation Director of the Walton Family Foundation, working with the K-12 Education Reform, Environment and Home Region program teams and grantees on performance analysis. She continues to work with the Walton Family Foundation as an independent consultant on evaluation related to its environmental grantmaking. Prior to joining the Foundation, Sheree worked in the education sector to develop and implement performance improvement data for school leaders and teachers. She served as COO for British Schools of America between 2005 and 2007. Earlier, she was President of Fox River Learning, a consulting organization specializing in systems that originated and analyzed student performance and school finance records. Sheree received an A.B. from Albion College in Michigan and a M.B.A. from the University of Chicago. Tom was a partner at IDEO for 12 years. Now, as an independent innovation consultant, he works with a network of seasoned strategists, designers, researchers, communication specialists and brand architects on client-based innovation initiatives. Tom is a lecturer at Northwestern’s Kellogg Graduate School of Management and McCormick School of Engineering, The Lake Forest Graduate School of Management, The University of Chicago’s Graduate School of Business, DePaul University’s Kellstadt Graduate School of Business, Carlson School of Management and at a variety of global industry and company-sponsored conferences. 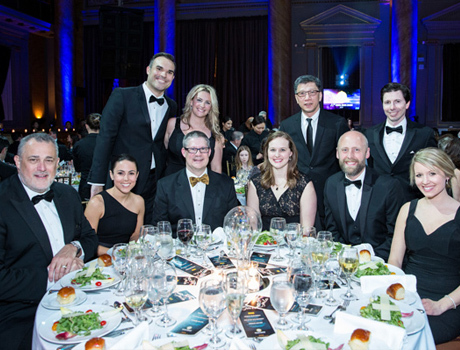 Tom is the 2012 Chairman of the Edison Awards Steering Committee and serves as the Executive Director of Edison Universe. He is also on the board of Children’s Memorial Hospital Foundation. Tom is a member of TED and spoke on the TED main stage in 2012. He is a senior leader of “TEDxMidwest” and serves on the board of “Chicago Ideas Week. Tom’s education background includes Aerospace Engineering, Social Psychology, Fine Arts, Architecture and Marketing Management.